Bio-Performance is a cutting-edge collection of multi-benefit, intensive anti-aging skincare treatments inspired by the latest clinical advancements. Our exclusive bio-technology innovations help skin perform at its maximum potential in minimal time- lift, firm & sculpt with LiftDynamic or even skin tone and eliminate the appearance of redness and dullness with Glow Revival. Shiseido scientists were inspired to focus on Shiftable Master Cells in the skin—cells with the ability to assess the damage in the deeper layers and convert themselves into the type of cells that skin needs, for quick and intensive repair. 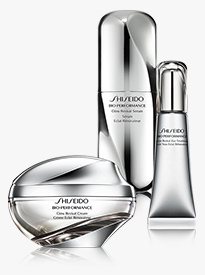 Shiseido discovered that the intricate network of tiny capillaries below your skin's surface is the key to improving the appearance of unevenness, dullness, wrinkles and loss of resilience. 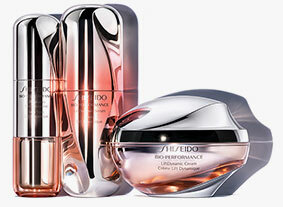 Shiseido's breakthrough ingredient, Multi-Capisolve 1124 coaxes the best out of fundamentals of your skin for flawless, vibrant and fully-plumped skin.